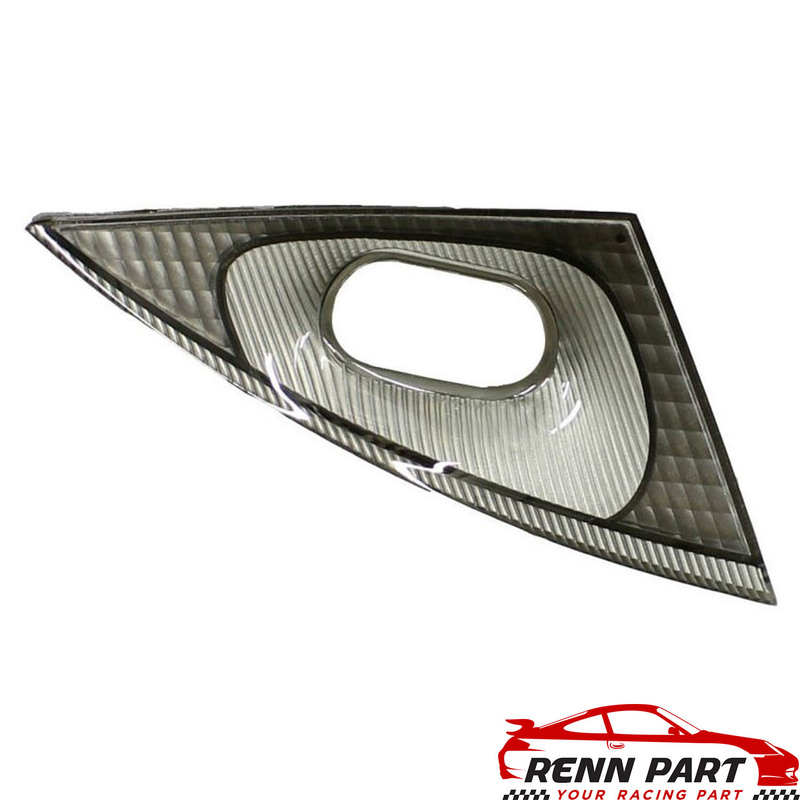 Replacement headlight corner trim pieces in smoked clear. These often fall off or go missing. If your car has Xenon headlight’s, you will have the ugly little headlight washers that pop up and pop this piece off. 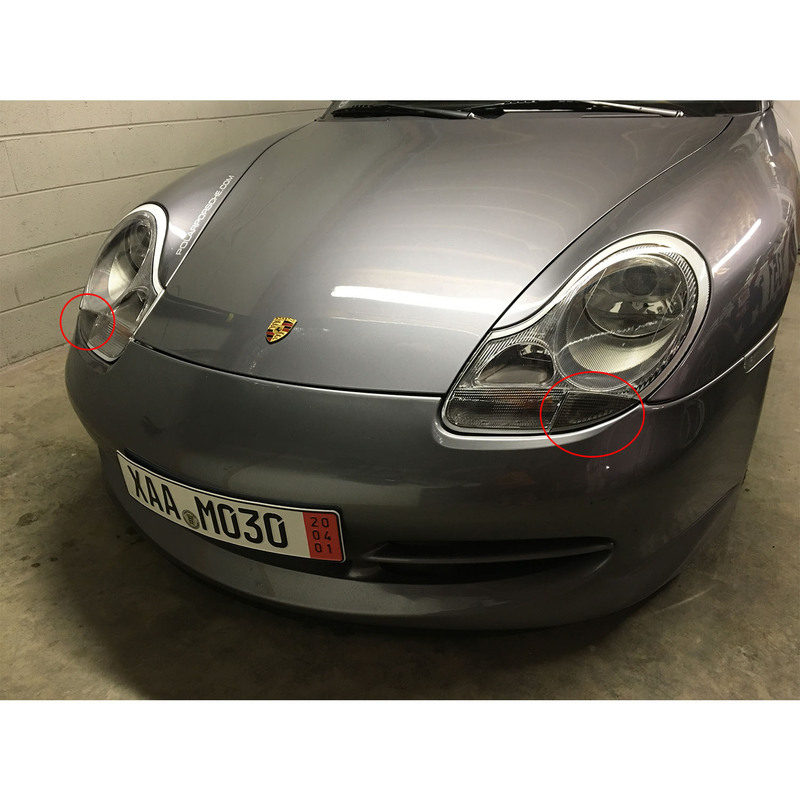 You can remove the washers and install the standard covers for a cleaner look, like we did on our 996. Genuine Porsche parts.